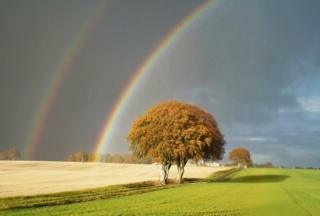 A selection of your pictures of Scotland sent in between 26 October - 2 November. Send your photos to scotlandpictures@bbc.co.uk or via Instagram at #bbcscotlandpics. Image caption Paul Ross, from Denny, captured this sunrise just as the sun hit the top of the trees. 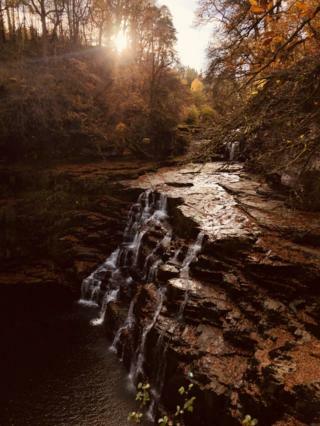 Image caption "Captured what I’m pretty sure is the last of the sun for this year at Falls of Clyde," said Joseph Herbert as he visited the waterfall in New Lanark with his partner. 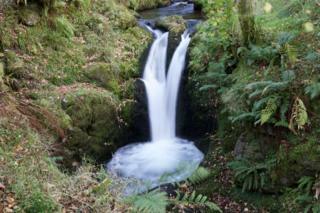 Image caption Marion McMurdo, from Dundee, took this photo at Reekie Linn near Alyth. 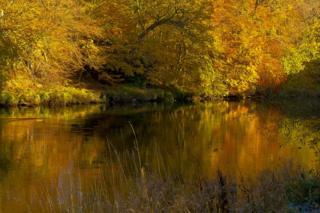 She said: "The river was full of fast flowing water, and the autumn colours were a delight." 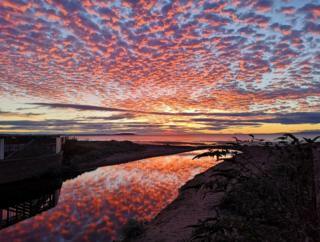 Image caption A dramatic sunset at Burghead Bay, captured by Tom McPherson from nearby Hopeman. Image caption The road to Roskill Mains in the Black Isle. Julian Paren said: "Torrential rain arrived as we drove to the beach to exercise the dog at Rosemarkie." Image caption This shot was taken by Evelyn Oliver at Faskally Wood in Pitlochry. 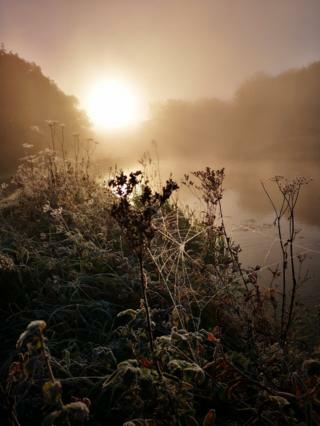 Image caption Misty and frosty weather on Nicolas Kelly's walk along the Union Canal to Falkirk High. 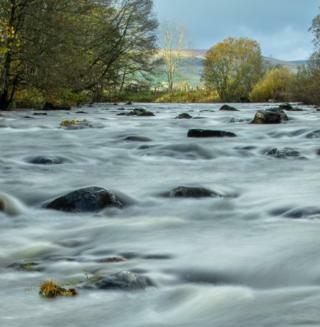 Image caption John Trippick captured this image of the River Clyde at Kirkfieldbank in the morning. 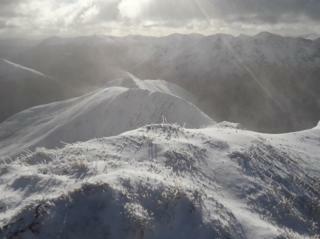 Image caption Winter conditions in Glen Shiel above the Cluanie Inn on Ciste Dhubh. 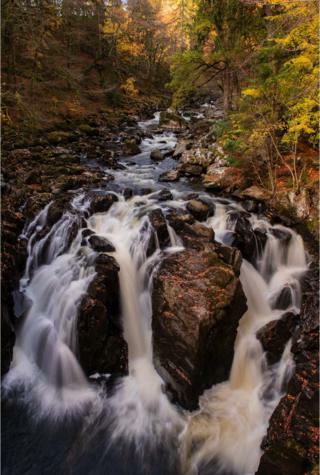 Image caption Mairi Brennan from Edinburgh captured this stream when she visited the Hermitage in Dunkeld and said: "It was busy with people making the most of a lovely day." 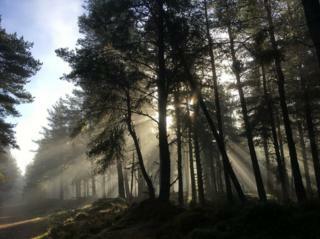 Image caption A moody scene captured by Tina Jack in the woods in Boat of Garten. 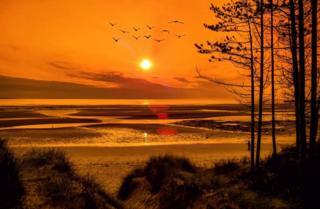 Image caption Sunrise with reflection at Leven beach in Fife, sent in by Susan Keith. 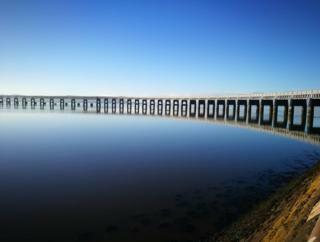 Image caption This striking image was taken by Glenn Knowles as he walked his dog Pippin by the Tay in Dundee. Image caption Sunset over Lake of Menteith captured by Alan Lusk. 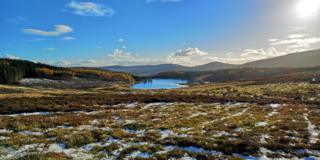 Image caption View over Auchintaple Loch in Glenisla by Ernie Boath. 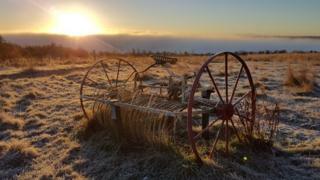 Image caption Jacqui Penfold said: "This is the sun just popping up from the morning's freezing fog over the M80 in Cumbernauld taken from Cumbernauld Community Park. It's a walk I do almost every morning and there's always something wonderful to see." 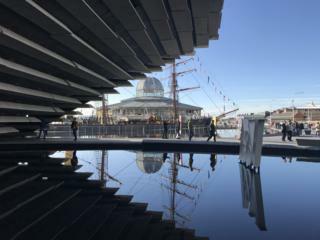 Image caption Cheryl Cunningham captured this image of the V&A in Dundee with the Discovery ship reflected in the water. 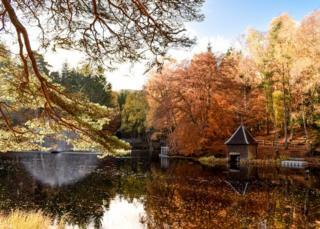 Image caption Thomas Duffy captured this autumnal setting of Dollar Glen. He said: "This waterfall looks magical." 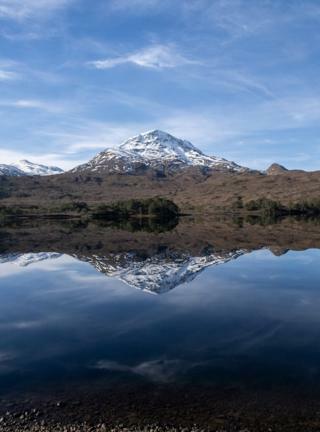 Image caption Edward Hornby from Inverness said: "I frequently visit the Torridon area in Scotland to go walking and cycling. This is a shot taken from the banks of Loch Clair on a recent trip there. 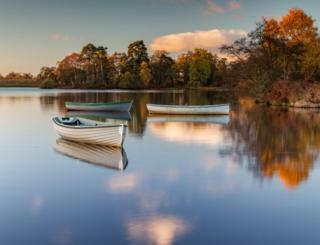 The loch was perfectly still and provided a fantastic reflection of the hills and surrounding area." 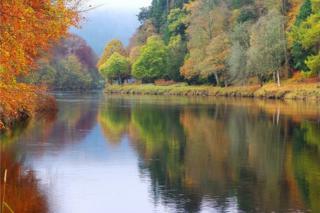 Image caption Eric Niven said: "The weather was fairly dull but the Autumn colours were nice when I was out for a walk in Dunkeld."